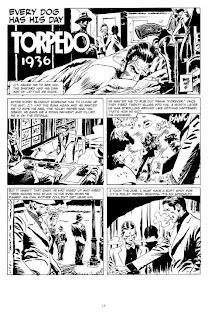 Our collection of Jordi Bernet's great TORPEDO book is out now, but it seemed a good time to focus peoples' attention on it since Mike Hawthorne and his art collective are doing tributes to Bernet's work this week over at http://comictwart.blogspot.com/ (last week focused on ROCKETEER, so follow the link there to see some good Dave Stevens-inspired work as well). 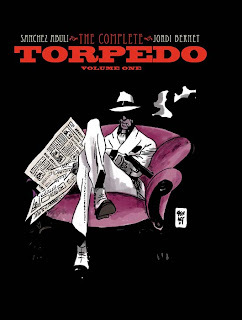 Directly below here is Hawthorne's take on TORPEDO, followed by the cover for our hardcover collection and a page of Bernet's interior art. Torpedo is a great comic. 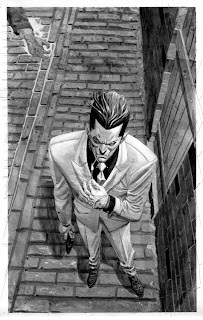 Artwork and stories are amazing, one of the best comics ever done in Spain. It's awesome to see them at IDW! Torpedo is one of my all time favorites!